The Wild West Express Roller Coaster soars higher than Adventure Park USA’s other coaster, the Wildcat, at 53 feet tall, featuring tight turns and heart-pounding drops. 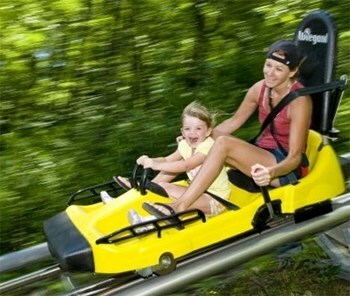 This coaster is only for the bravest of cowboys and cowgirls who like high-action thrills and fun! The Mountain Coaster at Wisp Resort is a gravitational hybrid of an Alpine Slide and a Roller Coaster boasting a 1,300-foot uphill track while twisting, turning, dipping and rolling for 3,500 feet downhill over 350 vertical feet on the eastern side of Wisp Mountain. Guests ride in ‘coaster carts’ that hold up to two riders and regulate their own speed with a set of handbrakes on the side of each cart. Amusement Pier is home to Jolly Roger’s® Pier Rides which includes the two-level Carousel, the adrenaline pumping Slingshot, the iconic Ferris Wheel, and more! Millions of beachgoers have made lasting memories at the pier over the last century, memories that have helped to secure Ocean City as the premier East Coast vacation destination for families. With so many choices, where do you begin? 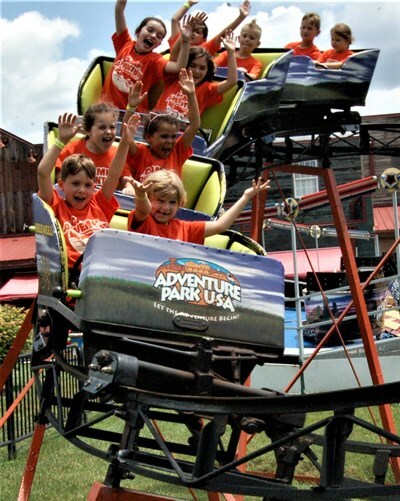 Take a look at all the amazing things to do while at Six Flags America — from pulse-pounding roller coasters to gentler options for tots. Thrill Rides include Apocalypse: The Last Stand, BATWING Coaster, Wonder Woman's Lasso of Truth, Mind Eraser, and more including FIREBIRD scheduled to open in 2019. Trimper's has been an Ocean City staple for nearly a century. Thrill rides include Endeavor, the free-falling Freakout, and the Tidal Wave - an OC landmark.